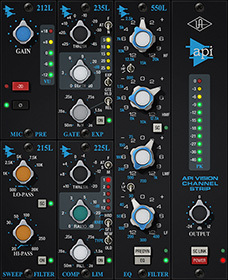 API Vision channel strip, Software channel strip from Universal Audio in the UAD Plug-In series. 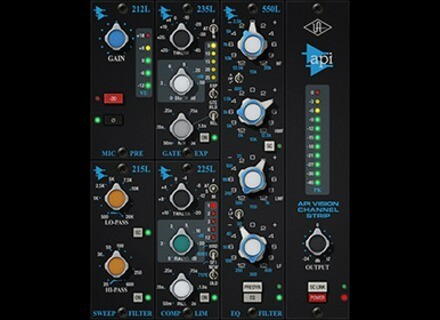 Robin Schneider's review (This content has been automatically translated from French)"My favorite channel DSUs"
API is a vision ChannelStrip reproupant modeling of the main modules found in analog consoles of the same name. The plugin is installed along the entire UAD collection. Once you have the DSP (or Apollo) and using software capable of reading formats (VST, AU, RTAS and AAX) it runs like clockwork! The manual is clear and very detailed well as in English, available by clicking on the question mark at the bottom of the plugin. I use a mac pro in late 2010 as mavericks with its Apollo Quad card (FW800) and a PCIe Duo card. I have no problems to use the plugin, as with all the UAD collection. In terms of performance, the number of instances of the plugin depends on the number of available DSP. Currently I have a total of 6 DSP but 4 of them are limited by the FW800 and also used for real-time processing of Apollo. With this configuration, I can easily open a dozen instances of the plugin 44.1. Generally, I use 4 when taking sound Unison preamps on the Apollo, not having to reuse the mix. Otherwise, I place on the slopes of the battery, which benefit most from the proposed treatments. Personally, I still recommend to have at least 4 DSP to open 8 instances API vision and still have room for reverb and treatments bus. Because I&#39;m still disappointed that Universal Audio does not offer a version "SE" as the old plugins where simulation preamp is simply absent, can benefit super treatments without the use of DSP modeling preamp and without it induces coloration. For example, if I use the plugin in Unison mode, I already apply the color preamp. If I want it back in the mix, I must re-apply this color, which is not always desirable. Like if I made a decision with a preamp character is a shame to waste the DSP to model a Preamp that I will not use. A glaring example: the Moog filter. I love the distortion of this plugin. But sometimes, I just want to hear when I apply the filter effect "whawha &#39;on an instrument in the background that would be too challenged before the coloring. In this case, the SE version is just perfect, and she lets me DSP power for another plugin. That&#39;s the performance part. 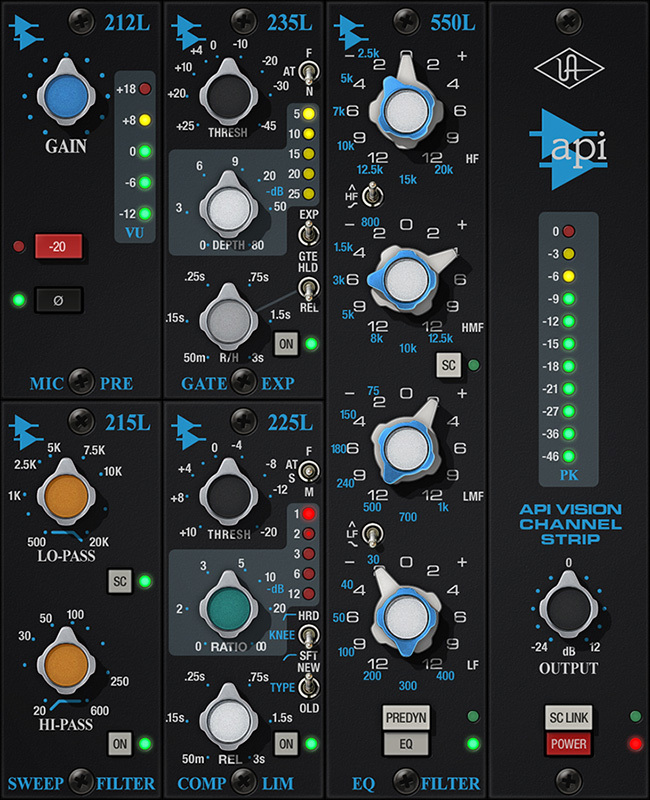 API vision is one of the most demanding of the UAD plugins collection and I recommend users with only one or two DSP. Or you use a lot Freeze according to your DAW. This month&#39;m doing this is my favorite battery plugin. I previously used the slice Neve 88RS, but the noise gate with side chain processing (in the plugin and not found on the original analog for that matter) is just much better. It is so good that I even applied to the plug with the Unison mode, which allows me to catch very own batteries, especially when it&#39;s me playing and I know my typing and my game dynamics . The coloration of the preamp is just great on percussion or bass. He even comes to replace the compression bus battery with a slice API vision, pushing the preamp and output offset. A compression effect is obtained without softening and without transient pumping a compressor. In some styles it is fatal. 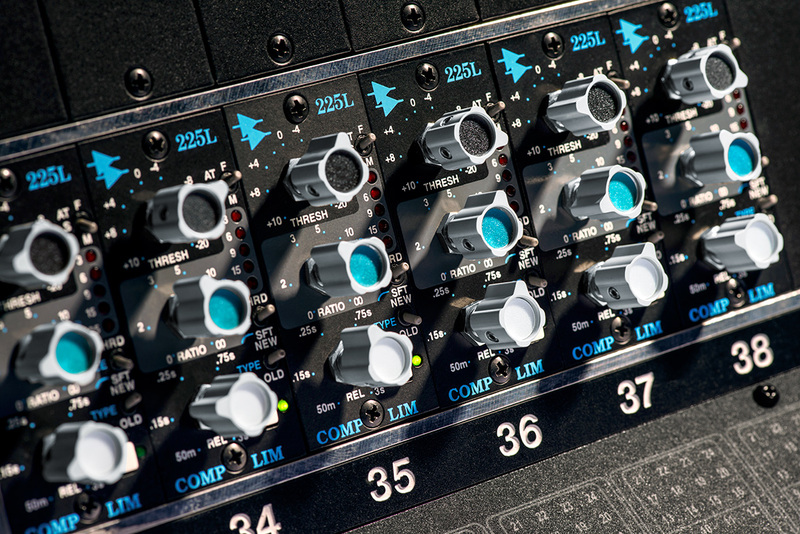 I also love the equalizer which is a model for me like "I&#39;m here to give character to the sound." I highly recommend to insert a very precise EQ plugin for any surgical portion (remove resonances, cut the bass etc ...) and then with the EQ you give your Api his personality. Moreover, the Q factor dependent gain provides interesting possibilities. I usually apply 6dB of boost or cut is an intermediary that allows a fairly broad curve but already sounding a bit. The compressor is a little trickier to use. On the one hand it has a make-up automatic gain, which can be confusing to some. It is also a very fast compressor that can easily demolish a source. I suggest how &#39;old&#39; (feedback) and a normal attack to percussion. That said, when the mastery, it can adapt to all situations. Filters do their job, but I most often assigned to sidechain the gate section. I prefer to cut the bass with EQ DAW upstream and manage up with the high shelf EQ. Last thing about the price, as with all UAD, wait a promo. I hope my review has been helpful. I&#39;ll update when I would find interesting new uses! 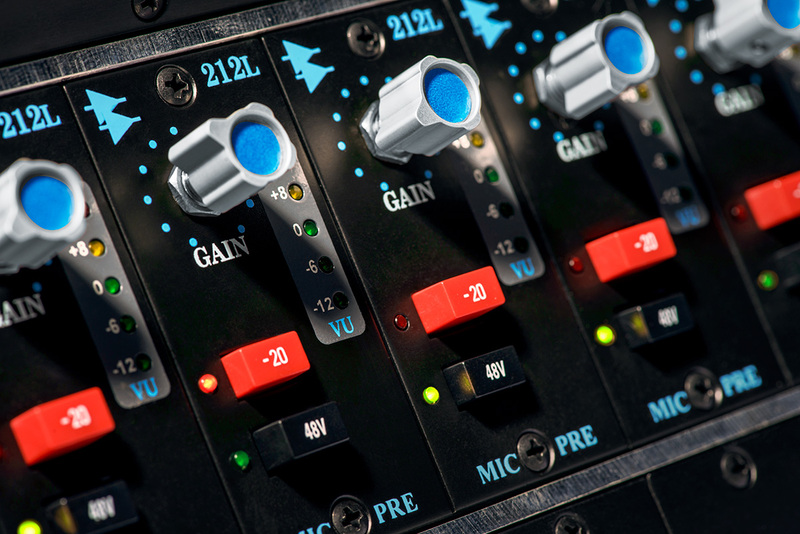 Universal Audio is slashing the prices on loads of plug-ins until November 30th.